A handful of titles guide teenagers in areas of writing, manners and other complicated topics. Julius Lester, Newbery Honor author of To Be a Slave and a university professor, offers advice, On Writing for Children and Other People. 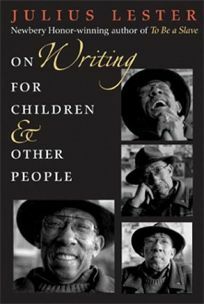 The volume begins with a chronicle of Lester's early days, his first awareness of prejudice, then segues into an impassioned argument for the importance of stories, as a way of defining oneself and seeing the world, and gives tips to aspiring writers. .